Archer Electric was created in 2004 in response to the growing need for both electrical troubleshooting and safety consultation in the myriad of electrically hazardous environments and situations. It was also formed to help businesses in Central and Southeast Wisconsin navigate the increasingly complex OSHA, federal, and state regulations. Since then, Archer Electric has helped commercial and industrial customers from manufacturing to healthcare facilities, and educational institutions to food processing plants, understand these complicated regulations and identify potential compliance issues. 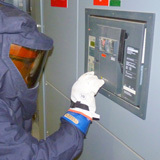 The most common areas of identified need are Arc Flash Evaluation engineering studies and Lockout/Tagout programming (consistently one of Wisconsin's most-frequently cited areas of violation by OSHA safety inspectors). 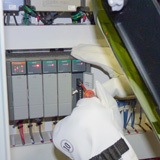 In particular, Archer Electric emphasizes the importance of NFPA 70E, the standard for electrical safety in the workplace, which, along with OSHA's "Final Rule" (2007), are the primary documents to demonstrate facility compliance with OSHA and federal requirements. The NFPA 70E gained prominence as an enforcement document in its 2004 publication and has since undergone two revisions, with the most current version being the NFPA 70E (2015) standard with newly updated requirements. 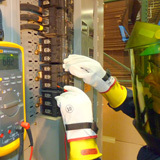 In addition to our Arc Flash engineering services, safety training and consultation, and Lockout/Tagout compliance, Archer Electric also offers a variety of other electrical solutions and engineering services. The principal owner/operator, Russell J. Scharrer, is a master electrician with over 30 years of experience in the trade. In addition to his certification as a master electrician, Mr. Scharrer is also a licensed state inspector and licensed designer of engineering systems with an emphasis in electrical power delivery systems.